WePower is a green energy trading platform based on the blockchain technology. The Ethereum platform had been used for the development of WePower. It is also based on tokens and smart contracts that are being used to make a connection between green energy producers and companies or individuals that want to invest in a clean energy future. The WePower platform wants to solve the issue of purchasing green energy from producers at a cheap price. Also, the WePower platform will bring more transparency and record the produced and consumed energy, by monitoring and generating data which will be available for users. With the WePower platform, people and companies can finance green energy projects by purchasing energy up front. It is an ambitious projects that aims to support the further development of the green energy sector, which is vital for a sustainable energy future. WePower had its ICO beginning very recently, on February 1st 2018. Today, February 12th the funding is complete, the target of $40 million being raised, two days before the ICO is over. Behind the WePower project stand a series of high-valuable people. We can mention Nikolaj Martyniuk, the co-founder of Energy and Augustus Staras, the co-founder of P2P &Crowdfunding. The WePower platform tries to develop an energy tokenization in order to ensure liquidity and to extend access to capital. Due to this fact, energy producers can trade directly with the green energy buyers. The WePower project is still at the beginning and only the time can say if it will become successful and if it also contribute to the development of the green-energy sector. The WePower platform makes the green energy sector more transparent. With the platform, all the information from the energy grid is being transformed into tokens. The tokens can accurately reflect the flow of energy produced and consumed by all the users. With the WePower platform, any person can buy green energy due to the implementation of smart contracts, a feature that we saw as well in the Ethereum platform. Another key interesting feature of the WePower platform is that users can purchase green energy, using the tokens for personal purpose or as an investment. With WePower anyone can set up a power plant that could generate green energy in the future. This process is made possible because of the tokenization of the anticipated energy production. You can actually sell what you will produce in the future before that actually happens. 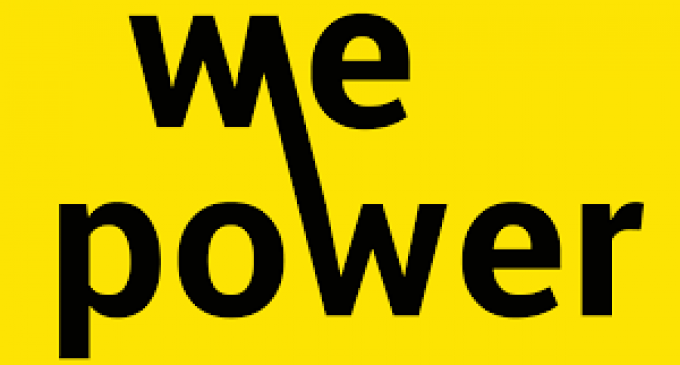 Can you mine for WePower? How is WePower mined? There is no information about WePower mining on the web so the actual thing is that it is one of the cryptocurrencies that can’t be mined. The WePower token is used to fuel the system and make sure it is functioning correctly. The maximum supply is 289,000,000, according to the information found on the WePower website. Out of all that supply, only 45% is available for sale at the present time. Where can I buy WePower? The safest place where someone can buy cryptocurrency is an exchange broker. This type of website is specialized in exchanging cash for cryptocurrencies. Also, using exchange brokers you can buy cryptocurrencies with other digital coins that you already have. There are many exchange brokers out there, but some of them managed to create a reputation and we have included a few in our exchange brokers section. By checking it you will find a series of reviews which can help you understand more things about certain exchange brokers. In terms of WePower, since it is a fresh cryptocurrency that had just been launched, you won’t find any exchange broker that has support for it. Only the WePower site is the place where you can actually register and buy tokens. How can I sell my WePower? If you already own cryptocurrencies and you would like to sell them, the best place you can find to do that is also an exchange broker. These websites offer exchange services and you can sell your cryptocurrencies for cash or for other digital coins at the market price in a very short time and for a low fee. We’ve written a series of reviews that you can find in our exchange brokers section. There you can find more about some of the most popular cryptocurrency exchanges in the market. Which WePower wallet should I use? Wallets are a must if you want to store your private keys. When we talk about wallets, we need to mention that there are two main types of wallets. First, the hardware wallets, which represent the most secure devices which can store your digital money. They work on the principle of cold storage and offer the highest level of security. The second type of cryptocurrency wallets, the online wallets, are using the principle of hot storage and are much easier to use, especially when you have to make a transaction. We have a section on our website dedicated to crypto wallets, where you can find a series of reviews for the most popular wallet providers. In the case of WePower, the only way to store coins is by creating an account on their website. We hope that in the future more wallet providers will have support for WePower. If you do not want to get involved in all this stuff with wallets, exchange platforms etc, but still want to invest in cryptocurrencies, there is an alternative. Online brokers have included cryptocurrencies on their instruments list and you are now able to trade them just like stocks, forex or any other asset. We have a section on our website, dedicated to crypto trading, where you can find reviews for some of the brokers that currently have included digital coins on their trading list.